Yesterday, one of my best friends came to visit. We went on an Irish Pub Crawl that lasted the entire day. Knowing what we were getting ourselves into, I decided to prepare a brunch for all of us before we took off on our little pub journey. The usual bacon, eggs, and toast were served, but, I made a few special additions that were so quick and easy... it only took me only an hour to prepare before they arrived. I love blueberries. 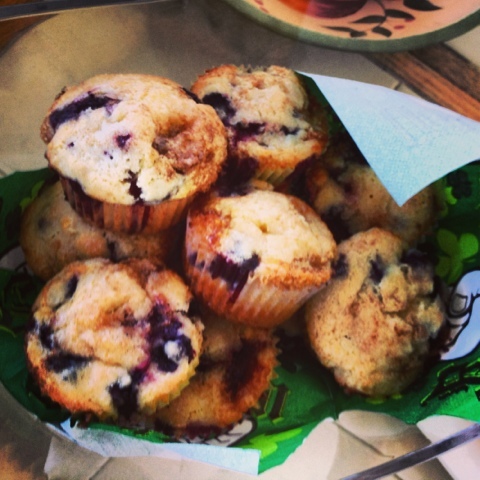 I love blueberries in any breakfast format... muffins, pancakes, donuts. You name it. This recipe took just 45 minutes total to prepare and they came out perfect! I added another 1/4 cup of blueberries into the batter. The more the better. I especially loved the cinnamon sugar crunchy topping. Don't even make a muffin if it doesn't have sugar on top. I'm not a huge fan of melon in a fruit salad. It just doesn't do much for me... and I think most agree. 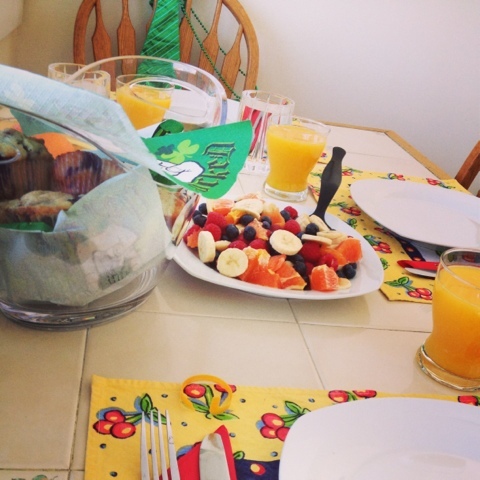 This fruit salad I prepared contains all of my favorites and gave us all the energy we needed for the rest of the day. 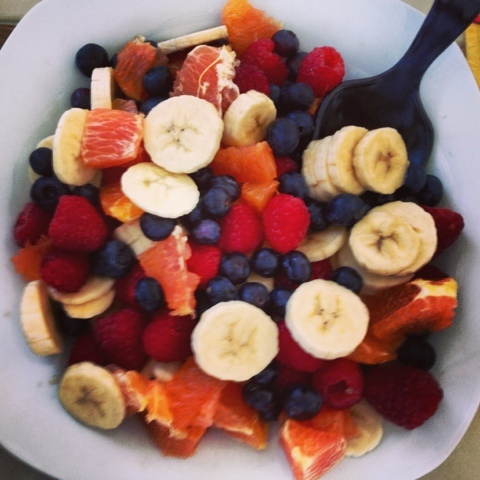 I simply cut up two bananas, 1 cara cara orange and then added blueberries and raspberries. Have an awesome Sunday... enjoy the extra hour of light. xo.